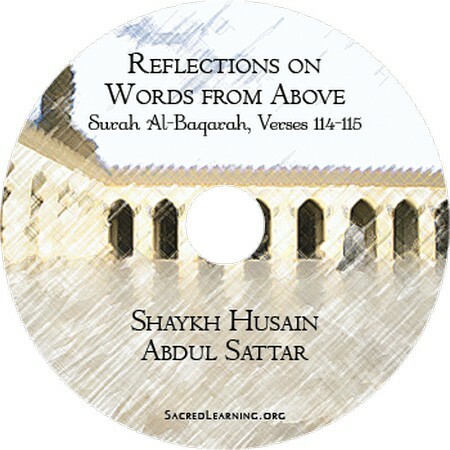 Reflections on Words from Above was recorded live during an ongoing lecture series in Chicago by Shaykh Husain Abdul Sattar. Starting from the beginning of the Quran, these lectures provide a detailed look at the meanings and historical implications of verses of the Holy Quran. Special emphasis is placed on highlighting how each set of verses applies to an individual's daily practice of the din. This current volume covers verses 114-115 from Surah Al-Baqarah.